Thoughtfully designed by Jim LaRue, this custom residence is on the market for the first time! 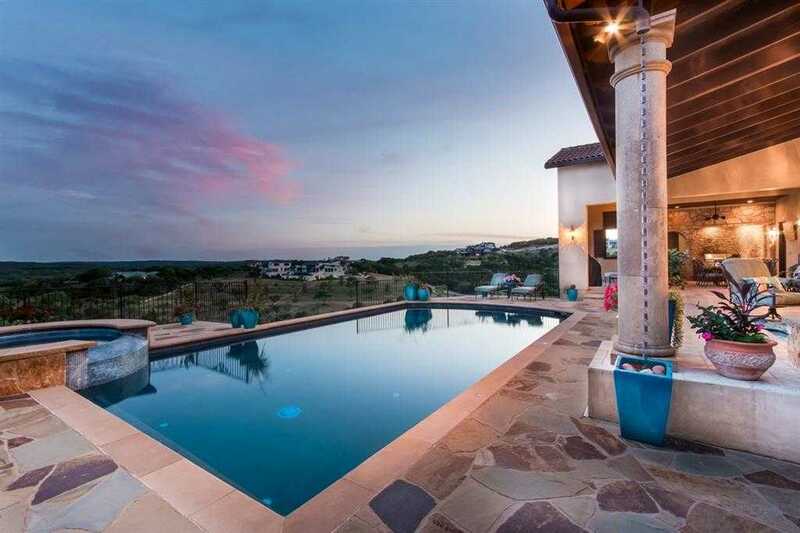 Situated on 1+ acre w/ panoramic views of the Barton Creek Preserve, you will experience the ultimate in privacy. Lives like a one story. Secluded master retreat w/ a dressing room all women dream of! Other highlights include – Open living, 3 generous guest suites, wine vault, media lounge, & 4+ car garage. Enjoy community, neighbors, & all the wonderful amenities Spanish Oaks & Lake Travis has to offer! Please, send me more information on this property: MLS# 9908760 – $2,625,000 – 12105 Musket Rim St, Austin, TX 78738. I would like to schedule a private showing for this property: MLS# 9908760 – $2,625,000 – 12105 Musket Rim St, Austin, TX 78738.